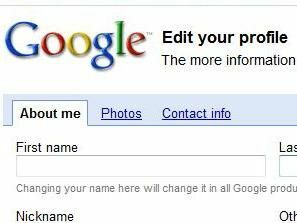 Google has added vanity URLs to its profile service, allowing users to link up their accounts at a google.com/profiles/user name address. Google Profiles, which has thus far been a relatively unknown part of Google's services, allows people to tie in the parts of their account to an individual page, bringing the likes of YouTube video, Blogger blogs and Picasa photo accounts together. The single page could be an important part of Google's increased focus on social networking elements within its service, but previously the URL for any claimed profile was a string of numbers. Now that users can claim a profile, either their gmail user name or any other name not currently taken by a mail account, the page immediately becomes a more usable hub page for each user. Digital Inspiration brought the change to people's attention, pointing out that a vanity URL will not only make the profile page easier to remember but also potentially could help push it higher up search engines.